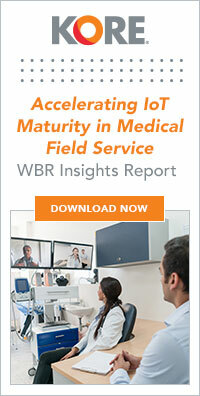 Battery life and connection costs are often key success factors for IoT deployments, and the number of options for low-power, low-cost connections is exploding. LP-WAN initiatives like Sigfox, LoRa, and Ingenu are gaining more than foothold in IoT market, while cellular carriers are ready to introduce narrow-band solutions of their own. This session will cover the new low-power connectivity landscape. Lee Ratliff is a Senior Principal Analyst at IHS, responsible for covering connectivity technologies and semiconductors. Lee specializes in low-power wireless technologies used in the IoT, including: Bluetooth Low Energy (BLE), ZigBee, Thread, and other 2.4 GHz 802.15.4-based protocols, 802.15.4g-based sub-GHz protocols such as Wi-SUN, LPWAN technologies such as Sigfox, LoRa, NB-IoT (Cat-NB1), and LTE-M (Cat-M1). Prior to joining IHS in 2008, Lee spent 14 years in the semiconductor industry in roles ranging from hardware and software design to product marketing and account management. At Texas Instruments, Lee specialized in connectivity technologies such as FireWire, USB, HDMI, UWB, and others. He has extensive knowledge in semiconductor design, fabrication and operations; as well as all phases of product development and the dynamics of markets driven by consumers and service providers. Lee has a Bachelor of Science degree in Electrical Engineering from Texas Tech University. Amit Khetawat is responsible for the strategy and management of the connectivity services at Aeris. He has more than 20 years of telecommunication industry experience. Khetawat has a versatile background in the mobile, wireless and telecom products with focus on product strategy, technology innovation and leadership and has held variety of leadership and engineering positions at AOptix, Kineto Wireless, Cosine Communications, and IBM. Allen Proithis is the President of SIGFOX North America and has an extensive background in the IoT and M2M markets, having led the development of several businesses in those spaces over the last five years. Before joining Sigfox, Proithis led the funding and launch of wot.io, an award-winning Internet of Things startup focused on accelerating value produced by the data generated by the IoT . Prior to that, he was executive vice president of InterDigital Solutions, where he was responsible for monetizing a $700 million, 10-year R&D investment by taking commercially promising technologies to the marketplace. In that role, he led the creation of Convida Wireless, an M2M joint venture with Sony, InterDigital and Stephen Capital, and served as chairman. Earlier in his carrier, Proithis spent seven years at Hewlett-Packard. At HP, he ultimately led strategy & business development for their Handheld Business Unit, where he was responsible for strategic initiatives for mobile devices, software and services, including the launch of HPs first mobile app store. Proithis began his career in the consulting business in the telecom and technology industries and holds a bachelor of arts degree in telecommunications from Penn State University.